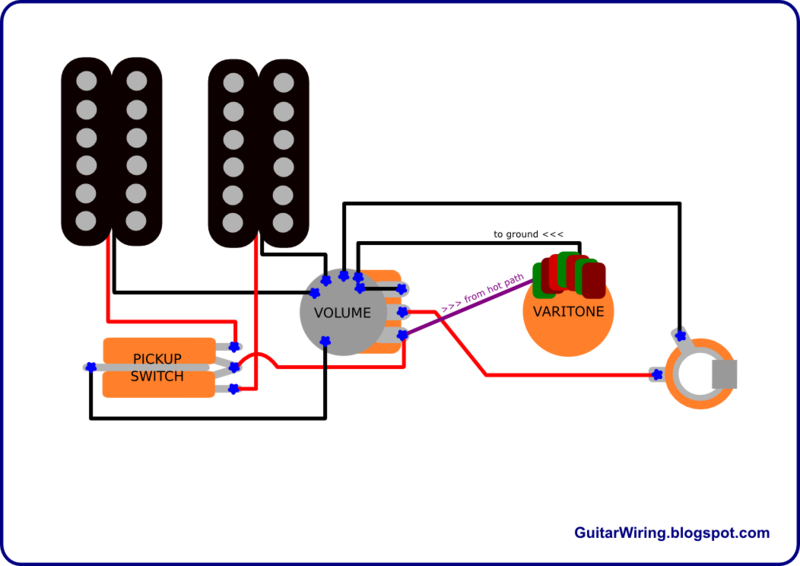 A varitone switch can be installed as a part of a guitar wiring in two ways: before the volume control, or after it. It really has a matter for your guitar tone. This article will help you choose the right way. Before we start analyze the first way of wiring, let's look at my > varitone project <. As you can see, it has two connections with the rest of a guitar wiring: the hot conductor (from hot path) , and the guitar wiring ground contuctor (to ground). 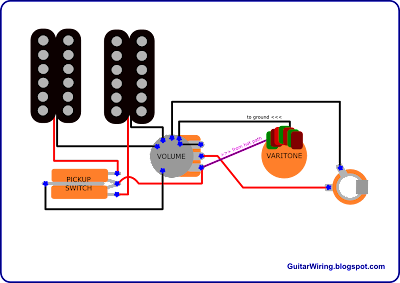 This way of installing the switch is very similar to the connections of the classic, pot based guitar tone control. The varitone is connected with the hot path on the first lug of the volume pot. 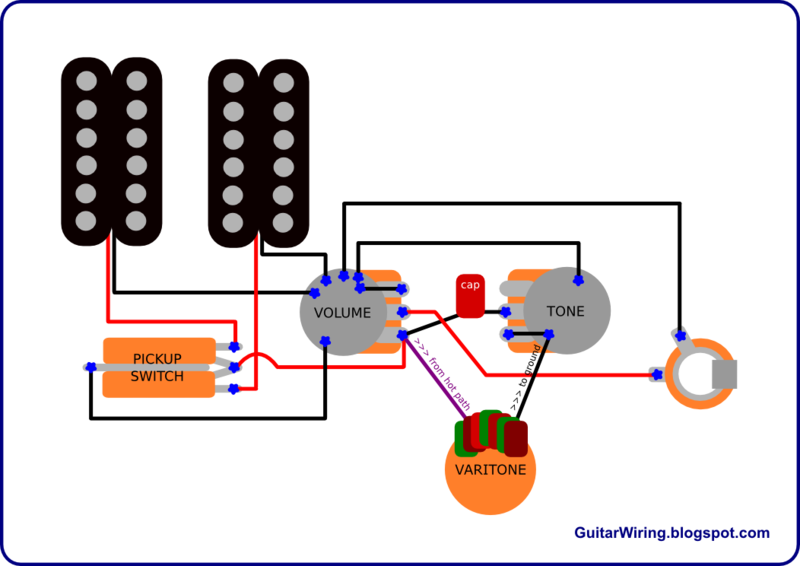 If you will use some tone shaping option of the varitone, and than you will turn down the volume knob a little bit, you will muffle (to some degree) the varitone effect. With the volume drop, you will get also the varitone impact drop. You shouldn't think that this is a disadvantage. The guitar volume control can be also a great tone control. It can be a cool mod for Telecasters and similar guitars (similar guitar wirings). If you will install the varitone after the pot, the volume knob position also will affect its work. By turning down the volume, you will increase the varitone impact on your guitar tone. For example, you can get quieter, but also smoother tone in this way. With a low-pass filter, there will be lower signal cut-off level, so more treble will bleed out. With a notch-filter, the notch will be wider, so the guitar tone will be "flatter". It will happen because of higher resistance before the tone filters. This extra amount of resistance comes from the vol. pot. The easiest way to install the varitone after the pot, is to solder its wires to the jack socket pins, like on the diagram.